Art Exhibition by Kyoko Abe from 18 March 2006. It's incredible, Kyoko just gets better and better at each annual exhibition. If you're Japanese you, of course, know Kyoko. If you're a Farang, you better get to know her, or know her works. They're incredible. 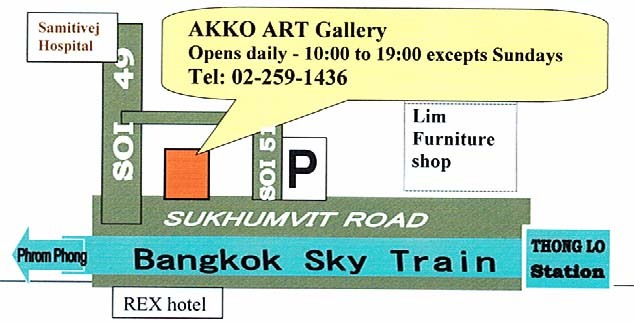 For more art information and prices get in touch with Atsuko Suzuki or David Davies through the contact details below. Or visit the real art gallery to see thousands of real paintings. Map on bottom of home page.